The Law Offices of Mauro Fiore, Jr., focuses exclusively on personal injury law. Attorney Mauro Fiore, Jr,. is the founder, president and head attorney in charge. The firm is comprised of a staff of experienced, courteous and knowledgeable personal injury attorneys, paralegals, investigators and supporting managerial and secretarial assistants to better service the clientele. Each and every employee at the Law Offices of Mauro Fiore, Jr., is bilingual in English and Spanish. Attorney Mauro Fiore, Jr., has been a practicing member of the California State Bar since 1998. He has a proud record of over forty $40 million in personal injury cases resolved. He is an active member of the Eastern Bar Association of Los Angeles County, American Association for Justice, the California Applicant Attorney Association, and both the California and Los Angeles Consumer Attorneys associations. 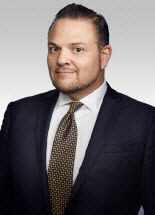 Attorney Fiore, Jr., is well-known and highly regarded as a personal injury attorney throughout Los Angeles County. He and his experienced staff work closely together with leading medical doctors and technical experts on cases that require the assistance of expert testimony.